This itinerary comprises of a 7 days 6 night tour to the heavenly paradise of Sabah. Come on board for a wondrous journey of historical landmarks dating back to hundred of years, tropical rainforests and scenically breathtaking islands of emerald green waters, olden day shop houses and traditional longhouses to modern day architectures. The state is also famous for its fresh seafood and cuisine, as well as it being a melting pot of cultures ranging from the aboriginal tribes to the multicultural races of Malaysia. Sabah will surely cease to amaze you with splendor as one of the top destinations in South East Asia. This is truly a destination you do not want to miss. Arrive in the morning to the alluring town of Kota Kinabalu. Check in to the hotel, and then proceed to the Yayasan Sabah Tower for sightseeing, the tower is the tallest building in the city of Kota Kinabalu (as of 2014). Formally known as Menara Tun Mustapha or the Sabah Foundation Building, this 30 storey circular glass marvel of architecture was built in 1977. 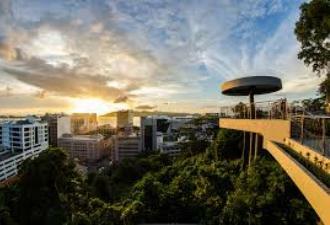 It towers above the city of Kota Kinabalu at 122 meters across the Sabah skyline, and is one of the few hanging type structures in the world. Then, head over to Likas, to see the Floating Mosque, one of the few unique floating Islamic houses of worship in Malaysia. The structure in itself is a sight to behold, as the perfect symphony of sea and light reflects its pearl white shadow onto the surrounding man-made lagoon. The mosque is also the largest in Kota Kinabalu, with a prayer hall that can accommodate up to 12,000 people. Visitors can also don a traditional Malays garment and see the various hallways, as well as take the opportunity to learn more about Islamic culture. 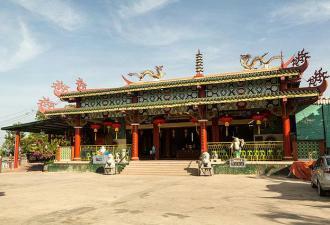 After lunch, proceed towards to the Poh Toh Tze Temple. The magnificent Buddhist temple is popular to many of the local Chinese worshippers, with its vividly carved rooftops imbued with elegant Eastern culture, as well as the pillars and walls that have a distinct Chinese flavor. Inside the compounds lay 10 large statues of dainties – including the Goodess of Mercy who welcomes all who enters the temple. After the temple tour ends, make your way to the Handicraft Market, where you can get great bargains at the selection of stalls selling interesting and skillfully crafted items, from bags to jewelry to artistic works of art. The market itself is housed within a wooden structure, with unique pointed arches that juts out of its main building. This is a perfect place to get mementos and gifts for your loved ones. Another market that the visitors should visit is the Seafood Market, where one can find an array of fresh seafood for sale at discounted prices. Situated only next to the jetty, one can still see the fresh catches of the day being unloaded, and hives of people flocking to purchases the best of the best. Give a go at haggling, or simply indulge in the pleasure of seeing the interesting and lively catches that are brought to shore. 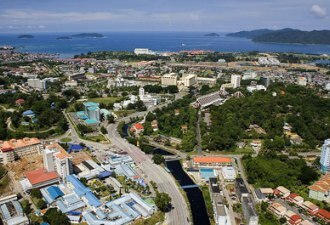 After that, proceed onwards to Signal Hill – a hilltop point which gives you a birds’ eye view of the panoramic Kota Kinabalu city skyline, its vast surrounding greenery and exotic tropical islands. The hill is the highest point in Kota Kinabalu, and is a perfect spot to take a wonderful group photo and the excellent time you are having on the journey. Right after, proceed for a sumptuous dinner in the town of Kota Kinabalu and enjoy the sights and sounds as dusk approaches. After breakfast, head out to the Tunku Abdul Rahman Park. 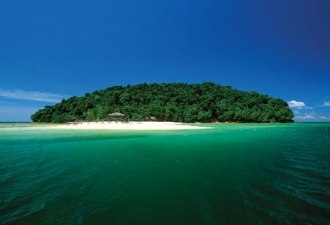 The tour takes you to two of the beautiful cluster of islands – Sapi Island and Manukan Island. A speed boat transfer can be easily obtained to take visitors to the islands, which boast pristine shallow waters, rich coral gardens and fine, white sandy beaches. Take a dip into the crystal clear blue ocean or laze under the tropical sun with a book in hand, while you listen to the soft echoes as the wave hits the shore. Opt to partake in the various sea sports activities provided on the island (includes banana boat, parasailing or snorkeling). If you want to just relax and unwind, then kick back and chill along the sandy beach, and bask in the warm rays of the tropical sun. After a full day of fun, commence with a fine dinner of fresh seafood in the town of Kota Kinabalu. Indulge in the delicious delicacies while you enjoy the company of the other tour members, as you eat, laugh and party into the night. After that, head on back to the hotel for a good night’s rest. 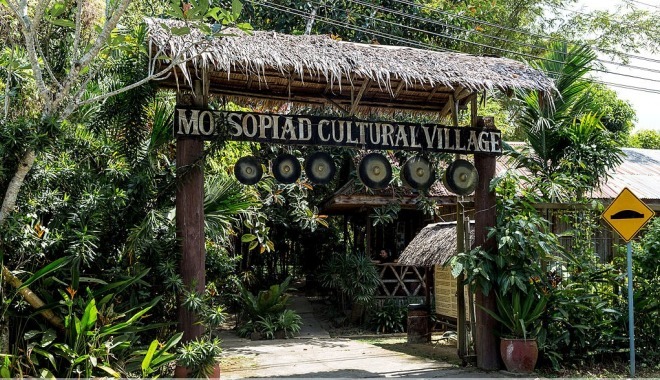 After a hearty breakfast, start the day with a transfer to the town of Penampang to visit the exclusive home of the Kadazan tribe – Monsopiad Cultural Village. The journey is approximately 20 minutes from Kota Kinabalu. Upon arrival meet up with the local guide who will provide an introduction of the vicinity and offer welcome refreshments. 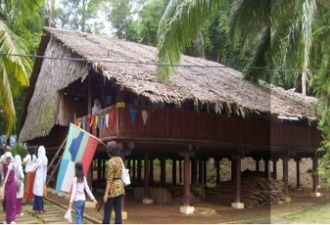 Then, take a slow drive towards the Mari Mari Cultural Village, which is approximately 25 minutes away. Upon approaching to the village entrance, be welcomed by the sight of ancient Borneo architecture, and take a step back in time of days of old. Be dazzled by the authentic wooden towers, distinct wooden houses and structures decorated by nature. 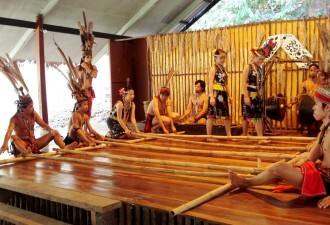 Take the opportunity to experience the different lifestyles of different indigenous tribes of Sabah. Blend in and see the culture like it really is. The houses here are all built by generations of Sabah native tribesmen, and are different in terms of style and design, each representing their own tribe. You can also visit the replica huts and see the daily routines of the olden Borneo natives come to life. Have a go at blowpipe making, fire-starting, and understand tribal tattoos to learn the mythical meanings behind each symbol. Also get a chance to see how the locals make vests out of tree husks, and also experience the traditional dance atop the ‘Lataran’ or traditional woven trampoline like floor. Also not forgetting are the various Sabahan delicacies that one will get to try, like the Montoku or rice wine, steamed rice and fish as well as vegetables cooked using bamboo shoots. Embrace the warm hospitality and partake in the cultural performances by the tribe representatives. After that, proceed for a sumptuous dinner in the town of Kota Kinabalu, and later head back to the hotel for good night’s rest. After breakfast, take a leisurely drive towards Ranau to visit the Poring Hot Spring. Check in to the resort hotel, and have several hours to free and easy. Opt to venture to the Treetop Canopy Walk. A brisk 20 minute walk takes one up a series of suspension bridges spread at the top of the tropical rainforest. These forests are home to the Menggaris Tree – also known as the King of the Forest. At 41 metres above the ground and spanning 157 metres in length, one can take in the sights and sounds of the Borneo jungle as they embrace the beauty of the wilderness at your own pace. Right after; proceed to the Butterfly Farm – a natural reserve for the endangered and rare species of butterflies, stick insects, rhinoceros beetles and more. It has a large landscaped enclosure featuring a nursery, a hatchery and a garden. An on-going breeding and research programme make it a delightful view. Moving on, immerse in the warm waters of the hot spring pool which are rich in sulphuric minerals. The natural spring water, which has a very positive and therapeutic effect stimulates the body and helps ease muscle aches. The word ‘Poring’ originates from the Kadazandusun name for a tall bamboo plant that grows bountifully in that area. After that, proceed for dinner at the resort restaurant and later head back to your rooms for a good night’s rest. After breakfast, head on over to Kinabalu Park to enjoy the magnificent allure of Mount Kinabalu, the tallest peak in South East Asia, its towering peak high above the clouds. Arrive at the Kinabalu Park Headquarters, and take a quiet stroll along the natural trails of the Botanical Gardens, and feel the refreshing air caress your cheeks. Kinabalu Park is home to an estimated 4,500 pecies of flora and fauna – including 1,500 genre of orchids (77 of which are endemic to Kinabalu), 326 birds’ species, 290 different types of butterflies and around 100 different kinds of mammals. Then, take a tour to the Mountain Garden and Exhibition Hall. Here alternatives are given to explore the different trails around Kinabalu Park. A guided tour will lead one across a series of forest treks, in which they will be able to see the various kinds of plants cultivated within the garden grounds like the exclusive pitcher plant, various herbs and spices and medicinal flora. After a lovely adventure, take a detour to to the district of Kudat, at the north-most part of Sabah. The drive will be around five hours depending on the traffic conditions, and will take the tour across the lush green countryside, fine villages of wooden houses, plantations, golden paddies and the serene outskirts of Borneo. Upon arrival, unload your baggages and have the rest of the night at free-and-easy. After breakfast, proceed to the Bavanggazo Village to visit the wooden long houses and their unique infrastructure – which was constructed using minimal modern day tools and mostly using natural materials. Home of the Rungus tribe, the lesser tribes of the Kadazandusun, it is here where one can feel the warmth and hospitality of the native Borneo ancestry. Watch as they weave their own bead works, observes their distinct costumes and partakes in their routines that form the part and parcel of life. Later in the afternoon, a traditional lunch will be served in Rungus tribe style, where one can enjoy the company of the tribesman and tribeswoman in celebration as well as merriment. After that, continue to the Semangkap village, which is famed for its artistry in ‘Gong’ making. Gong is a large drum that is used for traditional music performances or officiating of ceremonies. Hear the clanging of metals as the masters and their pupils beat and shape the sides of the gongs with perfect and artful skill. The art of gong making was considered to be an ancient art, whereby gong makers would only work on his art when he was sure there were no outsiders to witness his craft. Such was the secrecy to one’s true skill, that he would retreat deep into the jungle with his tools and materials to continue his work. At the end of the day, head back to Kota Kinabalu for a good night’s rest. After a warm and wholesome breakfast, gathering up your things and make the best out of the last few moments here in this wonderful state. After checking out, snap photos and say your parting words as you bid the lovely state of Sabah farewell, as you head back for home sweet home. Nestled amidst enchanting natural surroundings, perfect for a serene holiday. Close to the tip of borneo, enjoy serenity at its best!